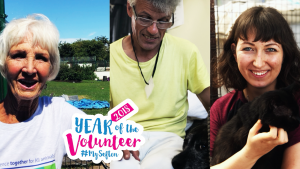 Volunteers at an animal rescue centre in Sefton have revealed the secrets of what it’s like to help and support a vital service as part of the Year Of The Volunteer. 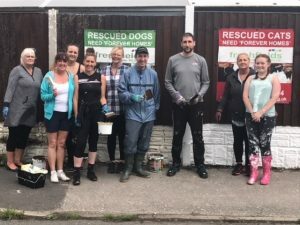 August is Animals month in Sefton’s Year Of The Volunteer campaign we met with a number of volunteers at Freshfields Animal Rescue Centre who told us that they absolutely adore what they do day in, day out. 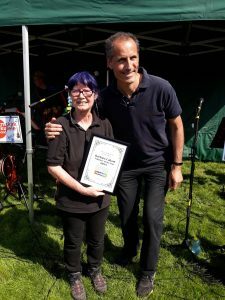 A spokesperson for Freshfields said: “We are really happy to be part of this initiative by Sefton Council which celebrates the incredible contribution made by the volunteers across the borough. Gabi is extremely modest and, like all our volunteers, seeks no recognition for what she does and gives the credit to others. Gabi is totally committed to saving the lives of the foxes. Dave, who volunteers from Barclaycard, said: “I first became involved with Freshfields in about 2010 when we adopted a cat. They were going through the recession and staff were explaining how it hits them hard. I obtained a £100 donation from our Barclays charity fund, but I wanted to do more. I spoke to Helen and explained I wanted to do a Barclays EV (Employee Volunteering) Group. I was expecting about 5 people to sign up, I got 30. 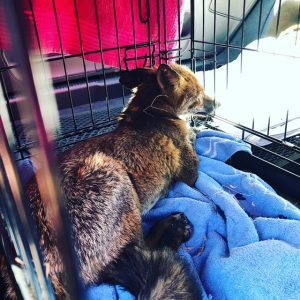 Barbara has dedicated her time to working in the Wildlife Unit at Freshfields for over 10 years. No job is too big or small for her and she is full of compassion and care for these vulnerable creatures,. The Year of the Volunteer is a joint campaign between Sefton Council and Sefton CVS designed to celebrate the wonderful work that thousands of volunteers do every day of the year across Sefton. To watch an interview with fellow Freshfields volunteer Kim, who looks after the cattery, click below!